Do you need social media tools? If so, which ones are the best for you business. We define social media tools and why you need them. 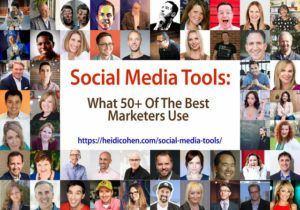 To improve your social media marketing, 50+ marketing experts what their top 3 favorite tools were and why they used them. The post Social Media Tools: What 50+ Of The Best Marketers Use appeared first on Heidi Cohen.